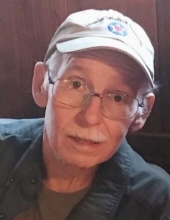 Richard D Mast, 64, of Smithville passed away at his home, Thursday September 27, 2018, after a 4 year battle with Kidney Cancer. He passed peacefully, surrounded by loved ones. Richard was born December 10, 1953, in Orrville, to William and Glenna (McClintock) Mast and graduated from Norwayne High School in 1972. He Married Kimberly A. Woods on July 20, 1974 and she survives. He worked for Gilbert Lumber for 40 plus years. He was an avid reader and a history buff. Richard is survived by his wife, his daughter Tonja Mast and grandson Richard P. Mast, sisters, Cindy (Thomas) Ringler, Sharon (Steve) Stoffer, a brother Jeff (Annette) Mast, numerous nieces and nephews and great-nieces and nephews. The family will receive family and friends for a celebration of Richard’s life Saturday October 6, 2018 at Gresser Funeral Home in Orrville from 5 – 7 PM. As where his wishes, cremation has taken place. It is at the request of the family that in lieu of flowers donations be made to Lifecare Hospice, 1900 Akron Road, Wooster, OH 44691 or the American Kidney Fund –Cancer Research, 6110 Executive Boulevard, Suite 1010, Rockville, MD 20852-9813. To send flowers or a remembrance gift to the family of Richard D. Mast, please visit our Tribute Store. "Email Address" would like to share the life celebration of Richard D. Mast. Click on the "link" to go to share a favorite memory or leave a condolence message for the family.